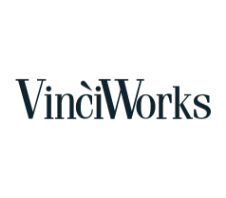 Founded in 2004, VinciWorks is a leading provider of online compliance training and risk management software. With over 200,000 users across 70 countries, VinciWorks has established itself as the definitive authority in online compliance. VinciWorks offers a range of compliance and regulatory training courses on topics such as the General Data Protection Regulation, the Fourth Anti-Money Laundering Directive, the Criminal Finances Act, the Modern Slavery Act, the Bribery Act, cyber security, the Equality Act and more. All of VinciWorks’ courses are customisable and can be tailored to suit the industry and specific policies of each client. In addition to training courses, VinciWorks offers compliance software solutions including its Learning Management System to track online learning, Omnitrack to track and manage online registers, Policy Tracker, a Risk Management System and more. VinciWorks has also published several policy templates and compliance guides to help organisations comply with the latest laws and regulations. 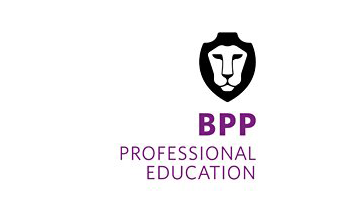 BPP Professional Education (C.I.) Ltd, is proud to have accredited status with ICSA and has been their Preferred Tuition Partner for many years. BPP offer face to face courses for the ICSA qualification and also offer it via Online Classroom Recorded and Online Classroom Live courses. With its superb pass rates, excellent study materials, highly qualified tutors and helpful administrative support, BPP can offer you a successful ICSA study experience, equipping you for a variety of different career paths. ICSA: The Governance Institute is the professional body for governance. ICSA has members in all sectors and is required by Royal Charter to lead ‘effective governance and efficient administration of commerce, industry and public affairs’. 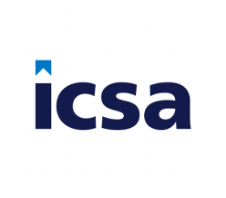 With over 125 years’ experience, ICSA works with regulators and policy makers to champion high standards of governance and provide qualifications, training and guidance.